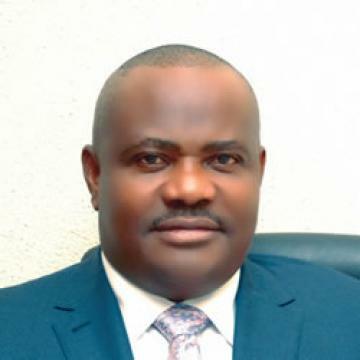 Nyesom Wike, Rivers State Governor, has alleged that Rotimi Amaechi, Transportation Minister, was behind plots to remove Walter Onnoghen, embattled Chief Justice of Nigeria. Mr Wike made the claim on Thursday at the campaign rally of the Peoples Democratic Party (PDP) in Eleme Area of the State. Naming the minister as the arrow head of the plot, the governor said the meeting where the plot was hatch was held in Abuja. “At that meeting in Abuja last Monday, Amaechi confessed that he is the person behind the illegal crisis facing the CJN,” Wike said in a statement signed by Simeon Nwakaudu. “He (Amaechi) bragged that he will destroy the CJN the way he brought Former President Goodluck Jonathan down,” he added. The governor said the plot by Amaechi to destroy the nation’s judiciary will finally consume the minister. Efforts by POLITICS TIMES to get the reaction of the minister were unsuccessful Thursday night.